Panalitix is a membership group that addresses the needs of progressive accounting and tax consulting firms. Our objective is to provide our Panalitix members with superior marketing, management and strategy tools. Avalara is the leading provider of cloud-based sales and use tax management systems, and provides the fastest, easiest, most accurate and affordable way for companies to address their statutory tax requirements. Bill.com lets you send your Bill.com data directly to your hosted accounting software with a click of a button. Bill.com streamlines and automates your business bill payment and invoicing processes. Can’t stand your expense reports? Look no further! Expensify makes capturing receipts, tracking time or mileage, business travel and creating expense reports quick and easy. Acknowledged by the tech community as the best app for expense reporting, Expensify takes the time, paper, and headaches out of your expense reports. Fundbox is the easiest and most transparent financial solution for all your business’ cash flow gaps. We’re helping thousands of business owners and freelancers overcome cash flow gaps by advancing payments for their outstanding invoices. Intuit makes the personal finance programs Quicken and TurboTax (and its Canadian counterpart, QuickTax), as well as the small business accounting program QuickBooks. In addition, they produce QuickBooks Point of Sale solution for small retailers, professional tax solutions ProSeries and Lacerte, and the Web-based corporate workgroup productivity solution QuickBase. Microsoft Partner program and is proud to offer the Microsoft technologies and solutions. Certified Partners possess a high degree of competence and expertise with Microsoft technologies, and may demonstrate their proficiency in one or more Microsoft Competencies. 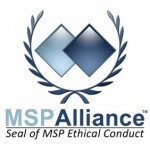 The MSPAlliance is the world’s largest Professional Association and Accrediting Body for the Managed Services Industry. As such, we make sure that every one of our members adheres to a strict code of ethics; which means a great deal to the IT Business Consumer. Finding the perfect fit can be a challenge. Whether you need SaaS, Hosted, or Desktop applications, OfficeTools’ award-winning practice management software gives you the power to choose the solution to best satisfy your needs. QB Seminar Systems is a network of QuickBooks consultants comprised of bookkeepers, accountants, and CPA’s. Each member of our network is dedicated to helping small business owners learn the power of accurate numbers on which to base daily business decisions and what their numbers mean. Automatically sync QuickBooks financial information into a highly secure, cloud-based consolidated dashboard using Qvinci. Qvinci’s ease-of-use and low-cost pricing structure allows for enhanced decision-making and make it the ideal solution for every member of the franchise network to save time, money, and improve success. Results is an award-winning Customer Relationship Management (CRM), Project and Business Management Solution. Results delivers a complete and flexible approach to business information managment at an affordable small business price. Results integrates with the products you use every day, including QuickBooks, Outlook, and more! Learn more at www.Results-Software.com. 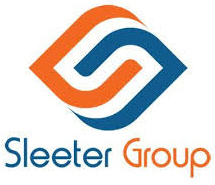 The Sleeter Group (@SleeterGroup) is dedicated to helping accountants and small businesses work together by using the most innovative and tested tools/systems to generate greater efficiencies and higher profits. SmartVault, a leading provider of online document storage and secure file sharing solutions, provides accounting professionals and businesses with an integrated document management and client portal solution to store, manage and securely share files. SmartVault is seamlessly integrated with accounting and tax applications such as QuickBooks, Xero, Lacerte and ProSeries. SpringAhead is the fastest, most integrated online solution for time tracking, invoicing, expense reporting and project accounting. Our web-based platform is easy to use and accessible from anywhere, at any time using any browser. SurePrep’s 1040SCAN and SPbinder are leading tax document automation and paperless workpaper solutions. The Woodard Consulting Group (WCG) provides implementation, training and consulting services for QuickBooks, Fishbowl Inventory, Method Integration, QStock, Sage 100 and Peachtree Accounting.